Bead Caps and Cones make every jewelry creation even more special. Now, we have even more options of Antique Silver-Plated Bead Caps and Cones. These metal bead caps and cones give you a great look at a great price! New Czech Glass 7x5mm Flower Cup Beads! Czech Glass Flower Cup Beads are 7x5mm in size. The colors are just beautiful! They are imported directly from the Czech Republic and are made out of Czech Glass. Just Added - 2mm Czech Glass Fire-Polished Beads! 2mm Czech Glass Fire-Polished Beads are multi-faceted and very beautiful. They will make a great addition to your next beading project. 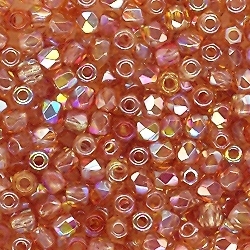 These 2mm beads are great for many seed bead projects. These beads are also referred to as True2 Beads. They are sold in packs of 48 beads. 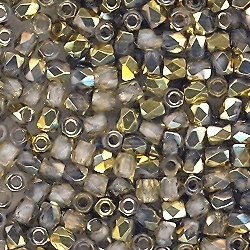 Just Added - 6mm Czech Glass Tile Beads! Czech Glass Tile Beads will make a great addition to your next beading project. 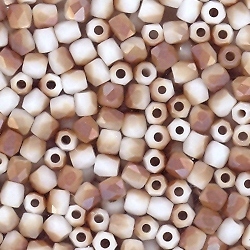 These tile beads have 2 holes going through them and will be great for many seed bead projects. Czech Glass Tile Beads are a 6mm square that is approximately 3mm thick. They are sold in packs of 25 beads. They are similar to Miyuki Tila beads but are a little bigger and much thicker.